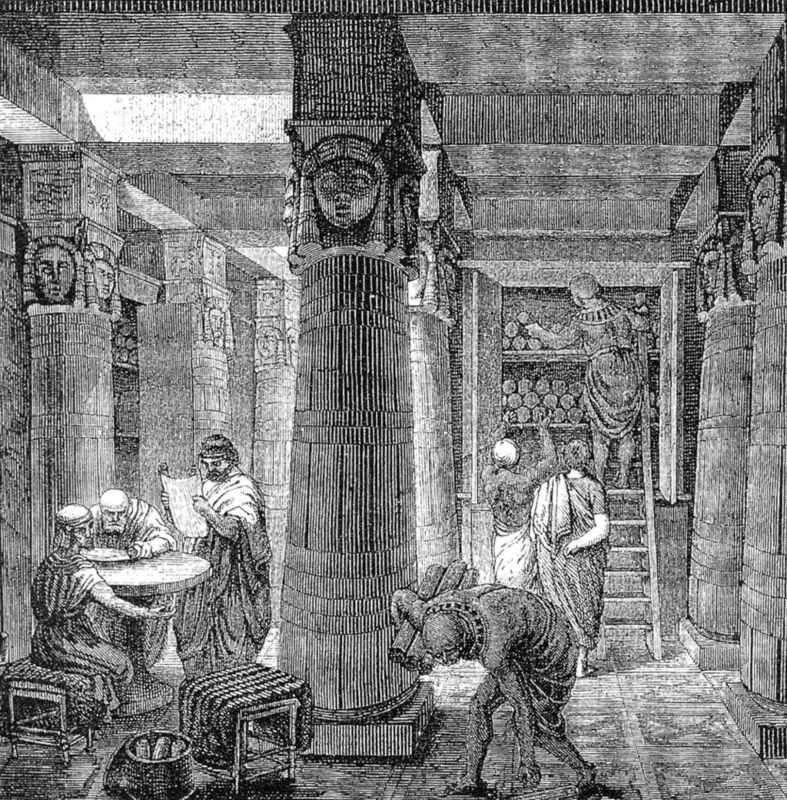 The Anabasis is Xenophon’s best known work. Besides being the first known work of what later became as popular literary type–the account of a military expedition cast int he form of a novel–it is often studied by beginning students of Ancient Greek because of Xenophon’s simple and direct, yet vivid, prose. He was the Hemingway of Attic Greek. Tutor. Mr. Brown, I believe? sit down. T. What are the Latin and Greek books you propose to be examined in? C. Homer, Lucian, Demosthenes, Xenophon, Virgil, Horace, Statius, Juvenal, Cicero, Analecta, and Matthiæ. T. No; I mean what are the books I am to examine you in? T. The two books, one Latin and one Greek: don’t flurry yourself. C. Oh, … Xenophon and Virgil. T. Xenophon and Virgil. Very well; what part of Xenophon? T. What work of Xenophon? T. Xenophon wrote many works. Do you know the names of any of them? C. I … Xenophon … Xenophon. T. Is it the Anabasis you take up? C. (with surprise) O yes; the Anabasis. T. Well, Xenophon’s Anabasis; now what is the meaning of the word anabasis? T. Very right; it means an ascent. Now how comes it to mean an ascent? What is it derived from? C. It comes from … (a pause). Anabasis … it is the nominative. T. Quite right: but what part of speech is it? C. A noun,—a noun substantive. T. Very well; a noun substantive, now what is the verb that anabasis is derived from? T. From the verb ἀναβαίνω, isn’t it? from ἀναβαίνω. T. Just so. Now, what does ἀναβαίνω mean? C. To go up, to ascend. T. Very well; and which part of the word means to go, and which part up? C. ἀνά is up, and βαίνω go. T. βαίνω to go, yes; now, βάσις? What does βάσις mean? T. That is right; and ἀνά-βασις? T. Well, now you say Anabasis means an ascent. Who ascended? T. Very well: Xenophon and the Greeks; the Greeks ascended. To what did they ascend? C. Against the Persian king: they ascended to fight the Persian king. T. That is right … an ascent; but I thought we called it a descent when a foreign army carried war into a country? It is hard to imagine that anyone reading the Anabasis would not know what it was about, since it is a very engaging book in any language. 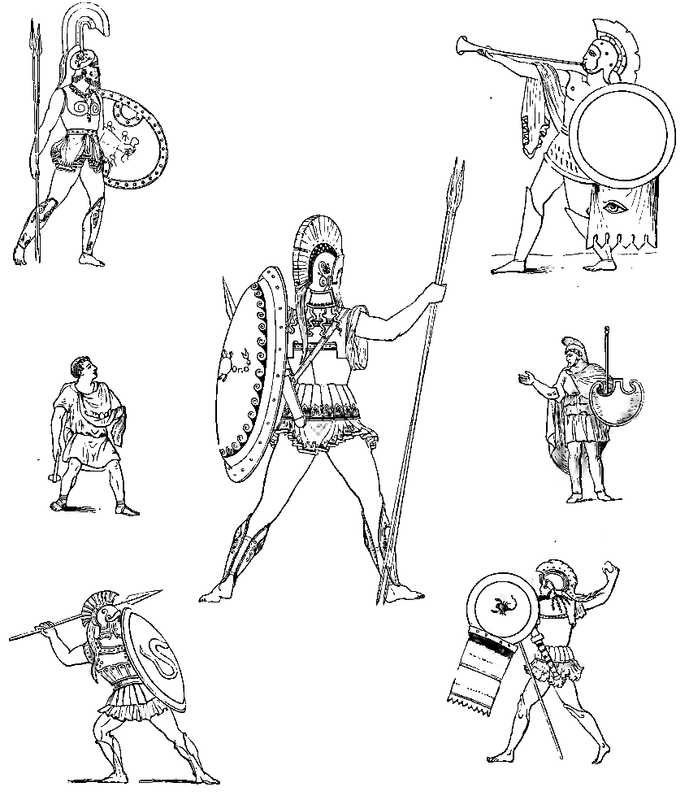 An army of around 10,000 Greek mercenaries, recruited from throughout the Hellenic world are hired by Cyrus the younger, a Persian prince, ostensibly for use in a local brush war. Soon after the men are gathered, however, it becomes clear that Cyrus actually intends to use the army to attack his older brother and place himself on the throne. With some misgivings the 10,000 agree to follow Cyrus. Unfortunately in the first real battle, a nominal victory for Cyrus’ army, Cyrus himself is killed. After multiple disastrous attempts to parlay with the Great King the mercenaries realize that he absolutely can’t be trusted. Accordingly, they set off to march and fight their way across the breath of the Persian Empire and Armenia to reach the Black Sea where Greek cities offer the chance of taking ship for home. The Anabasis more or less introduces the literary trope of the “wandering mercenary company”, which has since been used by numerous authors. It is easy to draw parallels with the free company in Arthur Conan Doyle’s The White Company, for instance. The trope is a mainstay of military sci-fi: David Drake’s Hammer’s Slammers was one of the most successful series of the 1980’s. A somewhat more recent example is David Weber’s and John Ringo’s March Upcountry tetralogy, the name of which is itself a nod to the Anabasis. In fantasy the exploits of the mercenary companies in Glen Cook’s long running Black Company series and Barbara Hambly’s Sun Wolf and Starhawk trilogy are utterly unforgettable. More recently, “sell sword” companies play a recurring role in George R. R. Martin’s Song of Ice and Fire series Of course, there have been plenty of historical mercenary units since the time of Xenophon. Yet his way of writing about life in a mercenary army seems to have set the pattern for all later authors. One of the interesting things that differentiates Xenophon’s 10,000 from many other armies, particularly the Persian forces that they fought, is that it never has unity of command. There are rarely less than five generals in command at any given time. Towards the end of the book Xenophon himself, who has accepted a generalship to replace a man killed by Persian treachery, is increasingly able to dominate the other four. He is never able to ignore their wishes completely, though. When he tries to simply override them they take their own men and do what they want. Still less are the generals able to ignore the will of the common soldiers. The generals command in the heat of battle but all other decisions are put to a vote. And if a general becomes too unpopular he faces a real chance of getting lynched by his own men. Another interesting feature of Xenophon’s account is that he is the first military author I am aware of who actually mentions camp followers. In most armies in history the number of actual armed “effectives” was dwarfed by the hostlers, merchants, mistresses, prostitutes, servants, and others who traveled with them. In the ancient world, when slaves were an important type of individual wealth, a successful army was usually further swelled by numerous captives bound for sale in the first slave market the army came to. 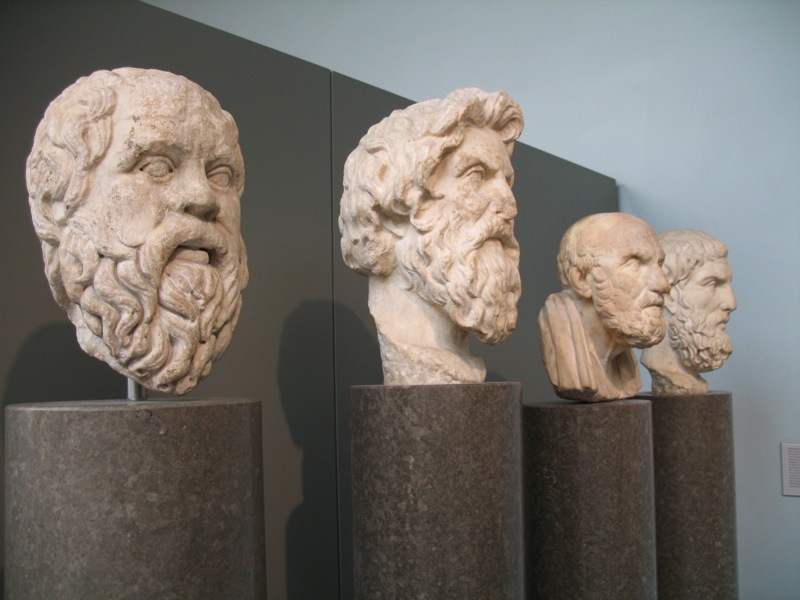 This is why it is interesting that historians like Thucydides and Herodotus never mention any of these people. In Xenophon, however, the need to protect the camp followers is mentioned as a recurring tactical consideration. While he doesn’t attempt to count them, it is clear that they are numerous and are regarded as bona fide stakeholders in the overall venture. As soon as the victims were favourable, all the soldiers began singing the battle hymn, and with the notes of the paean mingled the shouting of the men accompanied by the shriller chant of the women, for there were many comrade-women in the camp. It is hard to say whether these women were primarily prostitutes, mistresses, or adventurers in their own right. They certainly weren’t wives–he mentions several times how eager the men were to return to their families back in Hellas. It certainly seems though, that while they could not have been expected to have fought in the hopelite battle line, these “comrade-women” were present and played a role in battle. This is yet another of the tantalizing mentions of women that we find in various works that is so at odds with the accepted view of women in the Greek world as a secluded and disenpowered class that was rarely allowed out of the women’s part of the house. Overall, Xenophon was an important literary innovator whose books are still accessible and interesting to the modern reader. While they do not always make their way onto the various published Great Books lists, I still would recommend them. And if you only read one of his books, the Anabasis is probably the one you should pick. Note: The Penguin Group’s popular translation of the Anabasis is sold as The Persian Expedition. I personally read Dakyns’ translation, which is also quite good and is available from Project Gutenberg.